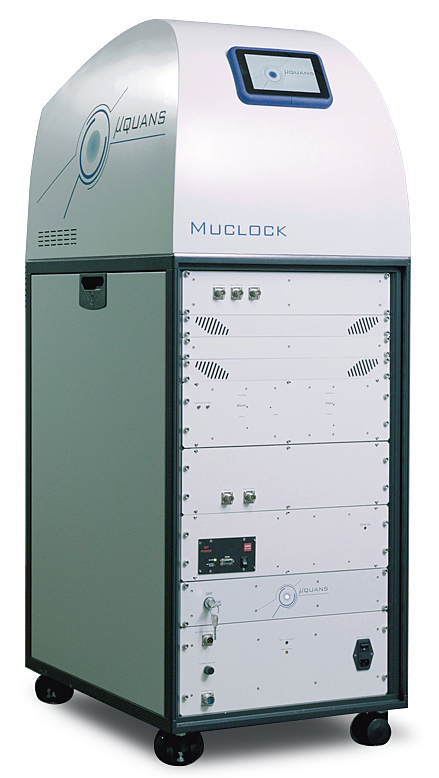 Our Muclock is the only commercially available time & frequency reference based on quantum manipulation of laser cooled atoms in the world. This unique solution is the result of more than 15 years of experience acquired by our academic partner, LNE-SYRTE, one of the major international experts in the field of time standards. The approach we developed relies on laser manipulation of cold atoms. We are able to produce more than 10 times per second a dense atomic cloud showing an exceptional stability over time, quasi-independently of external conditions. This unique atomic medium allows us to offer exceptional performances in terms of both short and long-term stability, as well as accuracy. You could'nt change this entry field.